This cozy cabin boasts of fond memories on the lake. The knotty pine interior in an open living, dining, and kitchen area allow ease and relaxation. A wood stove gives added warmth, with a propane wall unit allowing the extra flexibility of back up heat. The exterior has been well maintained with new paint in 2010, and a new metal roof just recently. 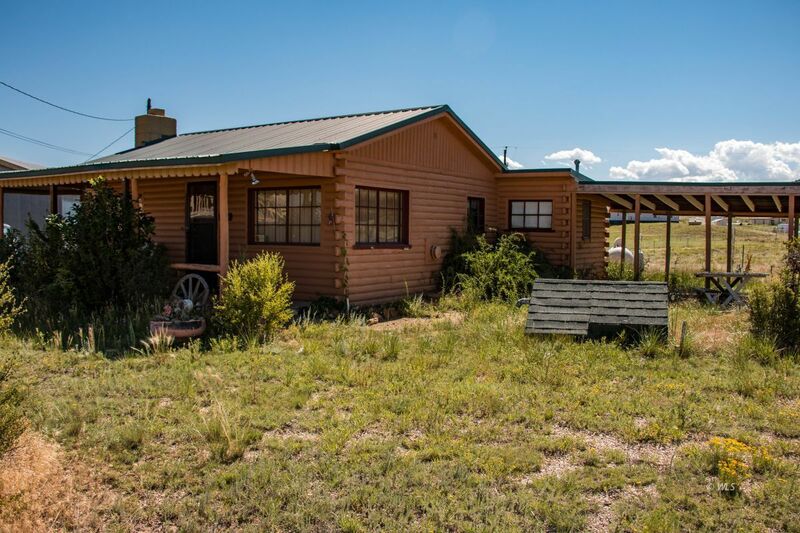 With three additional lots, you have plenty of room to expand your living space, or just relax and enjoy the outdoors and the Sangre De Cristo view. Fishing, hiking, and summer activities abound in this quiet community. Just a short walk up the road at the Lake DeWeese Resort area you can enjoy the annual 4th of July Celebration. Added features such as a domestic well, and an old fashioned covered front porch make this a rare find. Bring your porch swing and lemonade, this one won't last long.